My last post went though getting your router setup to send email. Now, to write a simple script to check the log and send an email. 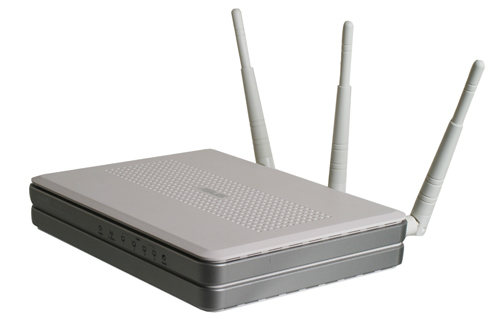 The router runs an extremely lean "sh" shell and is very limited. The script looks for key words and sends those lines from the log. It makes sure not to send logs that have already been sent. Note: TomatoUSB or any mod running kernel 2.6 should work. Iptables in kernel 2.4 requires some tweaks (see below). Change the highlighted line with key words to check the log for (not case sensitive). Separate each word by a pipe. # Get the last time the log was checked. # Write the new last checked time as now. # Create vars for the current year and list of month names. MONTHS="Jan Feb Mar Apr May Jun Jul Aug Sep Oct Nov Dec"
# Loop though any lines in the log that match words to check. # Get the log's date and time. # Change the date to seonds. # Write the log line to a temp log file if before current time. # Leave while loop if log line time is after current time. # If a the log lines found was written, send email. # Double space the temp log for readability. The below code will create a small script and execute the mail check script every 600 seconds (10min). Log into the Tomato admin interface and navigate to Administration -> Scripts -> INIT Tab. Paste the following code, save and reboot your router. # Create the log email timer. # Start the email log check. Write process ID file. logger -s "### email_log process $! started ###"
Great! this is what I was looking for. thank you.